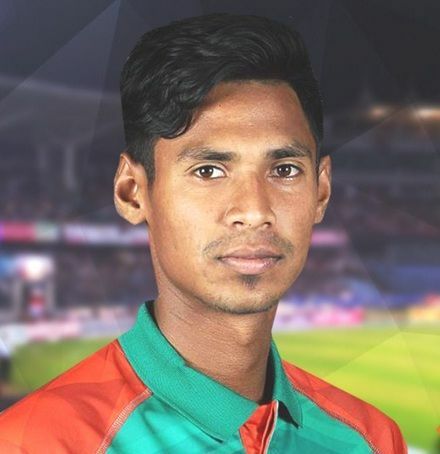 Bangladesh pace bowling coach Courtney Walsh is hopeful of Mustafizur Rahman regaining top form in the upcoming Asia Cup, starting on September 15. "He is coming on very good. He is not where he'd like to be. He did well in the West Indies when he joined us. If those injuries stay behind him, he will only get better,'' said Walsh. ''He has very special skills. We need to have him around to give us a chance to do well. I think he will always give you the edge. We are hoping he can reach his peak during the Asia Cup," he added. Walsh also noted that he would focus more on improving the left-arm pacer's skill-set. "I don't think his workload needs to be managed. He is bowling pretty well. I would like to do more skill work with him. I haven't had a chance (to work with him) due to his injuries, but I am hoping during the Asia Cup, we can do some work. He is coming with some confidence. Hopefully he will get a lot fitter. He keeps getting slight injuries." Walsh observed that the wickets in the UAE, in all likelihood, would be flat and they have to work hard as a group to succeed. "I don't think it will be perfect for pacers in the Asia Cup. I think the wickets in Dubai and Abu Dhabi are normally pretty flat and docile. "I don't think in one-day cricket, you get much cricket in conditions perfect for pace bowlers. Everybody wants runs being scored, and it is always a challenge for bowlers. Whenever the bowlers do well, we have to give them the credit because it is not easy to bowl on these good batting wickets." According to Walsh, the confidence Bangladesh gained during the just-concluded limited overs leg of the Windies tour will give them a psychological boost going into the Asia Cup. Walsh, who completed two years as the pace bowling coach of the set-up this week, regretted that the youngsters haven't been given enough time to be groomed. "We haven't had a lot of Test matches, so to speak. But I think there has definitely been some progress. Unfortunately, we only get the chance to play four-day games when we are on tour. There are some good youngsters coming into the team. I am hoping that before my time is up, we can produce some fast bowlers. Unfortunately in the last tour of the West Indies, they didn't make as much of an impact as I would have liked. "A lot of youngsters are coming through. If they don't get selected to play, you won't know what they are. It is one of the things we have to look at a little bit more. We can't be too afraid to give the youngsters a chance to express themselves a bit more. If they are kept waiting in the wings, they will never get a chance to play." The legendary fast bowler also said the youngsters coming through the ranks have the hunger to succeed, but at the same time they need a good run in the side. "I don't think they lack the hunger. They haven't been given that opportunity to play consistently. It is where the difference might come from. Some of the youngsters we have... they need to get a good run. Not just one or two games and then get dropped. You can have good and bad matches. "I have seen that as soon as you have a bad game, everyone wants you to be dropped. It is not going to help a youngster. All of us can have a bad game, and when that happens, you need to be given a chance to redeem yourself. It is a case of striking the right balance. Youngsters are keen and want to perform at the highest level. They just need to be given a chance," he reckoned.